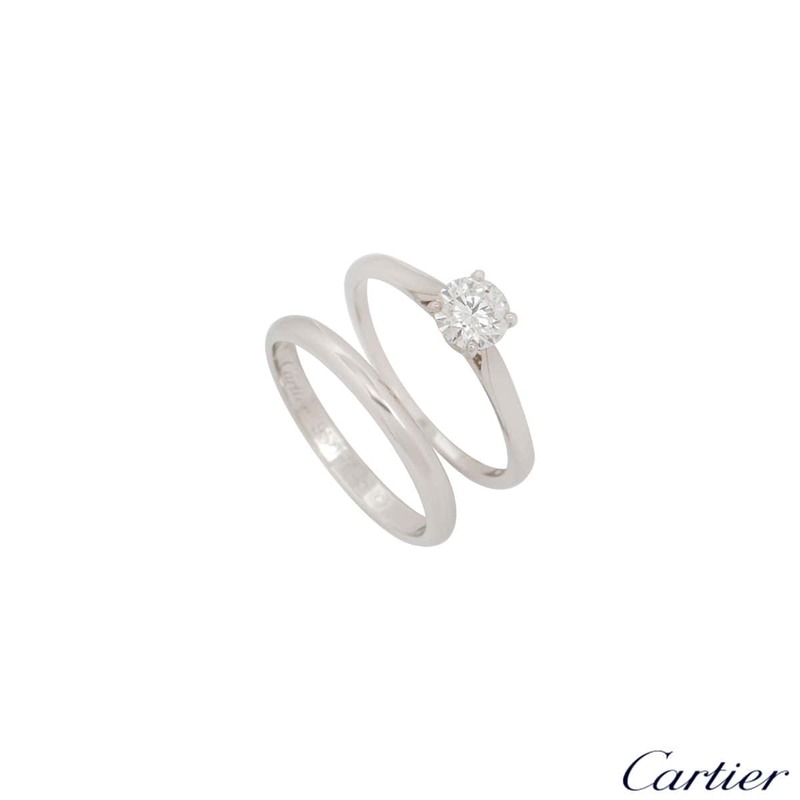 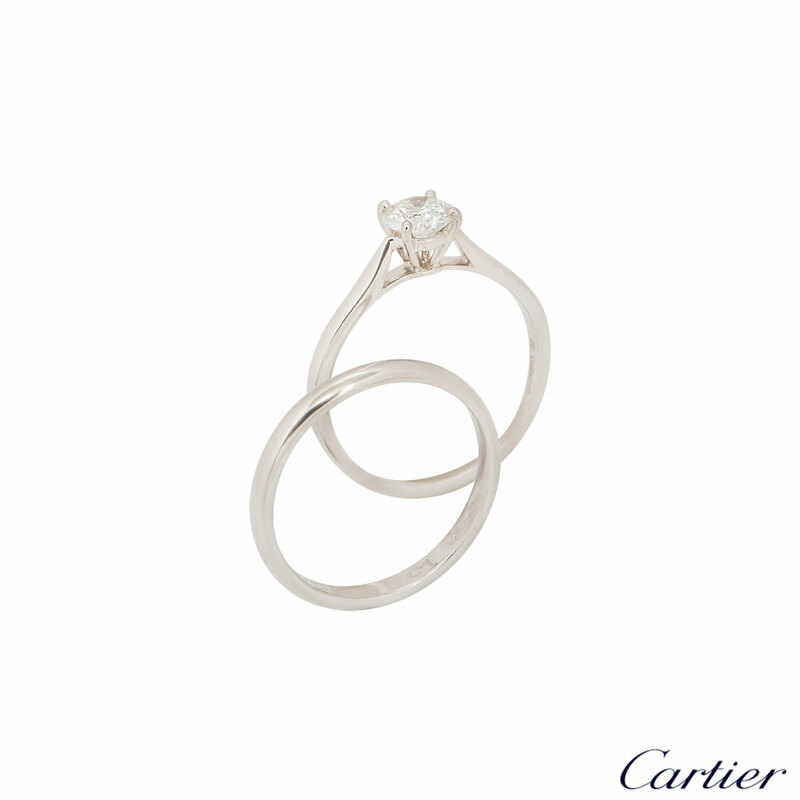 A stunning platinum Cartier diamond ring with a plain wedding band from the 1895 collection. 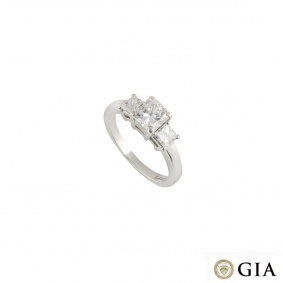 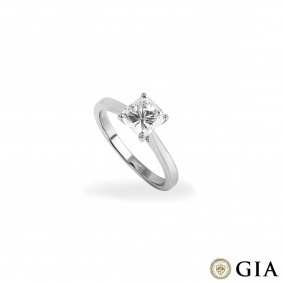 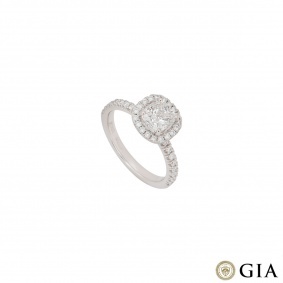 The ring features a round brilliant cut diamond in a 4 claw setting with a weight of 0.50ct, G colour and VS1 clarity. 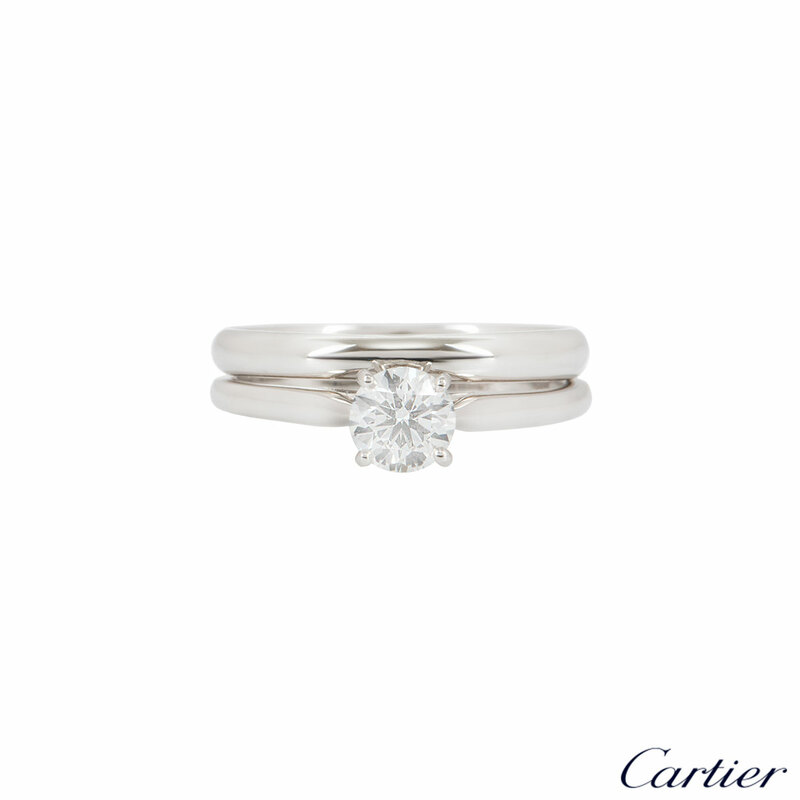 The ring also comes with a plain 2.3mm wedding band. 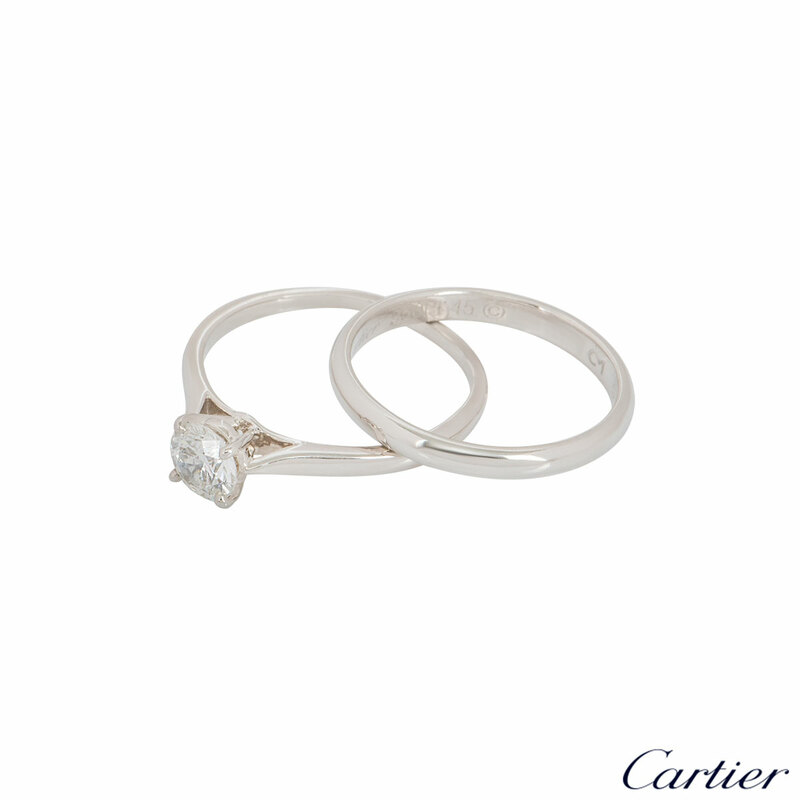 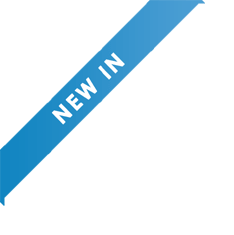 The rings are a size L½ but they can be adjusted for a perfect fit and have a gross weight of 5.30 grams. 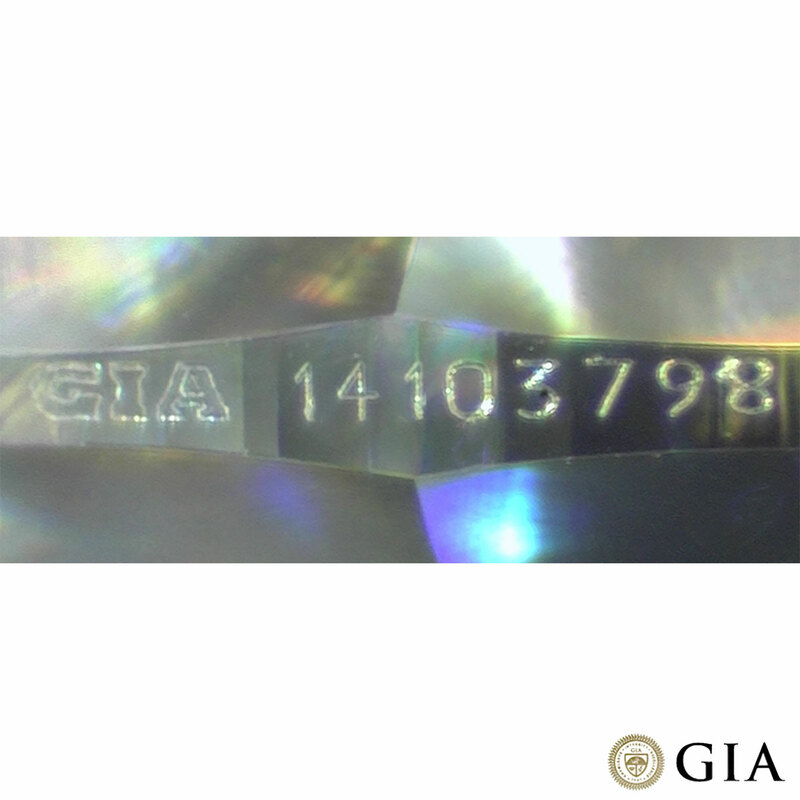 The rings come complete with a RichDiamonds presentation box and GIA diamond report dated July 2005.